Community involvement is an important value at Curtis Miner Architecture (CMA), and so is building the future of architecture. 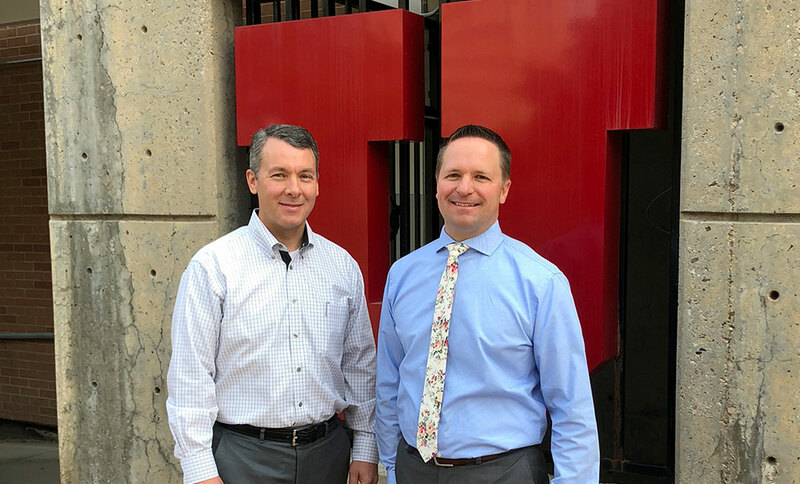 Recently, two of our Principals and University of Utah graduates, Curtis Miner and Jay Taggart, presented at the Architecture + Planning School’s Breakfast Club, discussing what it’s like to be an architect day-to-day. CMA Principal and Founder Curtis Miner, NCARB, AIA, remembers the excitement of starting CMA in his unfinished basement in 1998 – just two short years after getting his Master’s. According to Utah Construction & Design 2017, CMA is now the 15th largest architecture firm in Utah. With 9 licensed architects and 27 employees located in their Pleasant Grove offices, it is the largest firm in Utah County. CMA was founded on the ideals of Excellent Design and Outstanding Service and remains true to those principles twenty years later. Curtis and Jay showed attendees some of the key projects CMA has had the honor to work on. These include the Ken Garff Porsche Audi Dealership in Lehi, the American Heritage School in American Fork, and the Parkway Lofts Apartments in Orem. Parkway Lofts is also a favorite project around the office, along with the award-winning UVU Center for Autism and the award-winning historic Star Mill renovation. CMA’s current projects “on the boards” include the Alpine Main Street Village in Alpine, the American Heritage School’s Athletic Facilities, Rockpoint Apartments, and The Hub Food Truck Park.